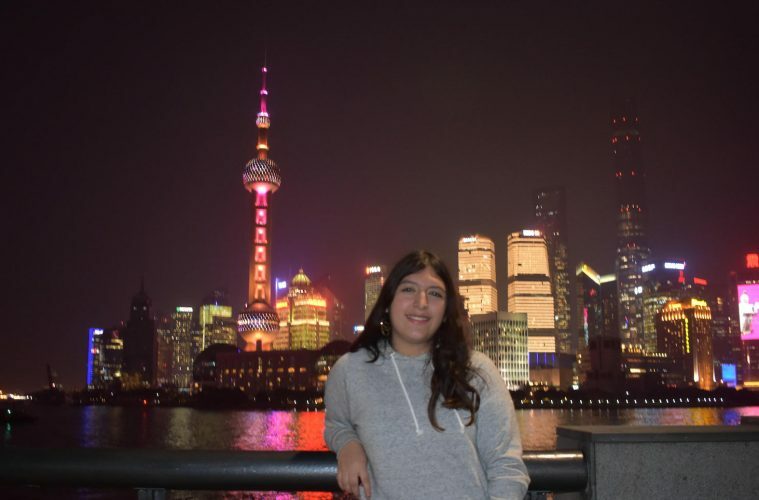 When Elizabeth Gonzales ’19, a Chinese and international relations major from Dallas, Texas, talks about traveling to Shanghai, China, she can barely suppress her energy. Her passion for Chinese culture and language spills into the conversation as she describes her four trips to East Asia. Through an extended study program to Beijing in Spring 2016 and participation in the 2016 Shanghai study group, led by Luce Associate Professor of Chinese and Asian Studies John Crespi, Gonzales has studied Chinese history and politics while building her fluency in Mandarin. As one of two Colgate students awarded grants from the Benjamin A. Gilman International Scholarship Program during the 2017–2018 academic year, Gonzales traveled to Shanghai to pursue critical language study. The Gilman Scholarship provides up to $5,000 for students who have traditionally been underrepresented in education abroad. Students like Gonzales, who are interested in learning a designated critical-need language, are eligible to receive an additional $3,000. 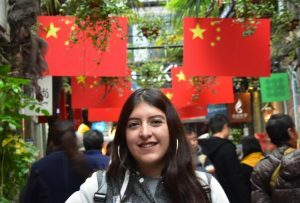 Support from the Gilman Scholarship program, says Gonzales, helped her hone her Mandarin skills and experience different cultures in China. This summer, Gonzales — an off-campus study peer adviser, residential life community leader, and OUS scholar — will graduate from Colgate and journey to Middlebury, Vt., as a Davis Fellow for Peace. Alongside a highly select group of aspiring peacemakers (only 100 fellows are selected per year), she will receive immersive instruction in Chinese to aid in her aspirations of becoming an East Asia specialist with the U.S. Department of State. Colgate students and alumni have been awarded many of the most competitive national and international fellowships and scholarships. For more information, visit the Office of National Fellowships and Scholarships.